Throughout the day, I receive many calls from customers who need help installing their Radius Finder Application. It can be a little confusing to some, so I wanted to show you the quickest and easiest way to get it set up. 1. Start off by logging in to your account, and then click the download button within the "Products Purchased & Subscription Information" section. It's right underneath all of your account information. 2. The next page will show you all the different download options you have. Click on the download button for the Microsoft Access file (MDB). Don't worry, you don't need Microsoft Access on your computer for this to work. 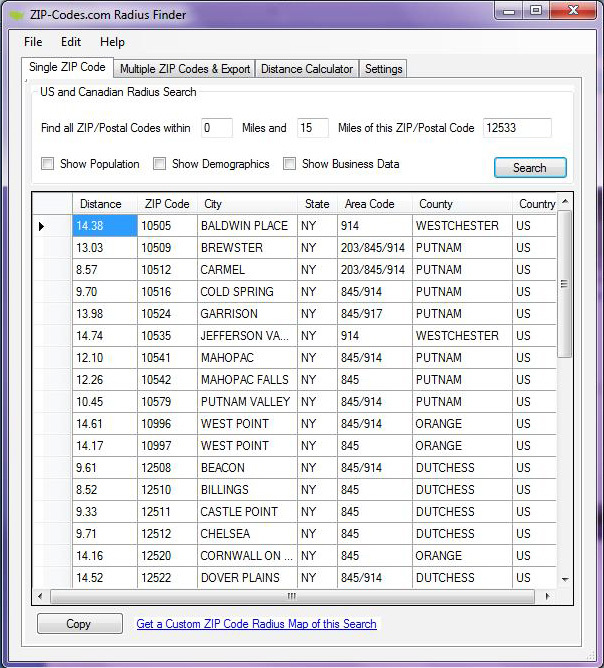 The application just pulls the ZIP Code data from this file. 3. Now it wants to know what you plan on doing with this file. You want to open it, so click open. 4. There will be four files displayed. Double click on the one that says ZipCodeRadiusFinder. 5. Browse to choose a folder where these files will be saved. PLEASE NOTE that the radius application cannot be saved on a network drive. Save it to a local folder. I don't recommend saving it to your desktop. Some users have reported errors when saving it there, so I suggest choosing another location. 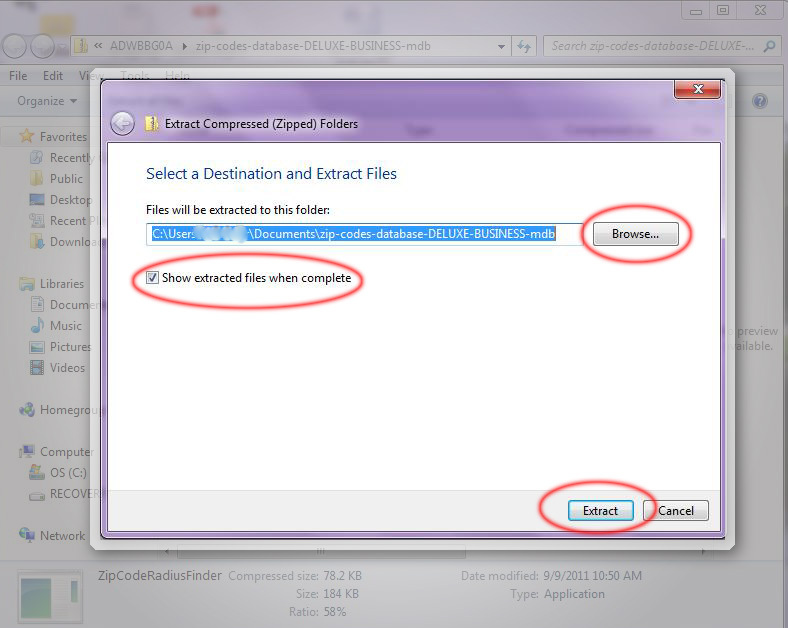 Check the box to "show extracted files when complete", and then click the button at the bottom to extract. 6. 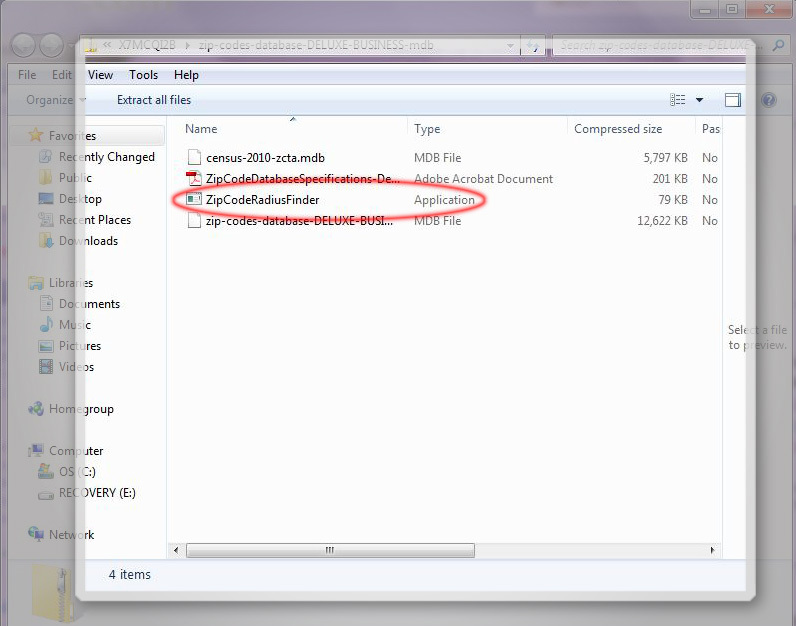 Now you see a list of the extracted files. For convenience, you may want to take a moment and create a shortcut to the radius application. 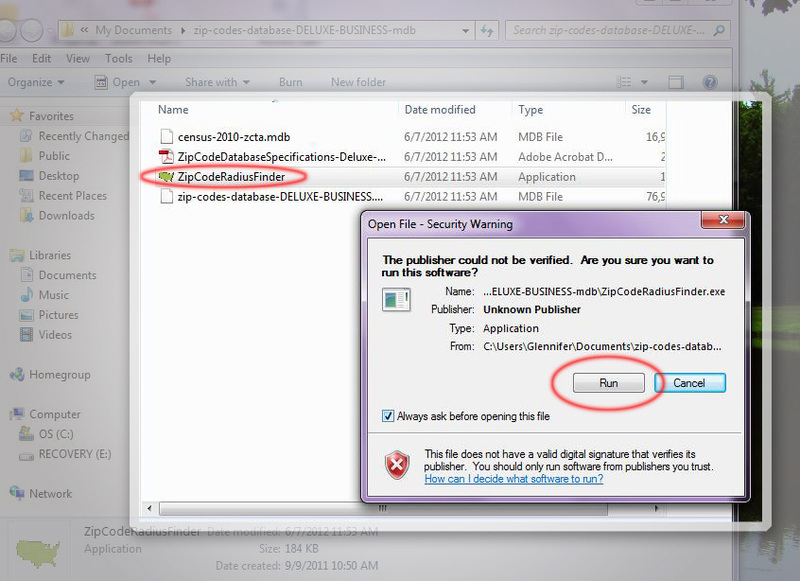 Right-click the ZipCodeRadiusFinder file and choose "create shortcut". Drag the shortcut right to your desktop. 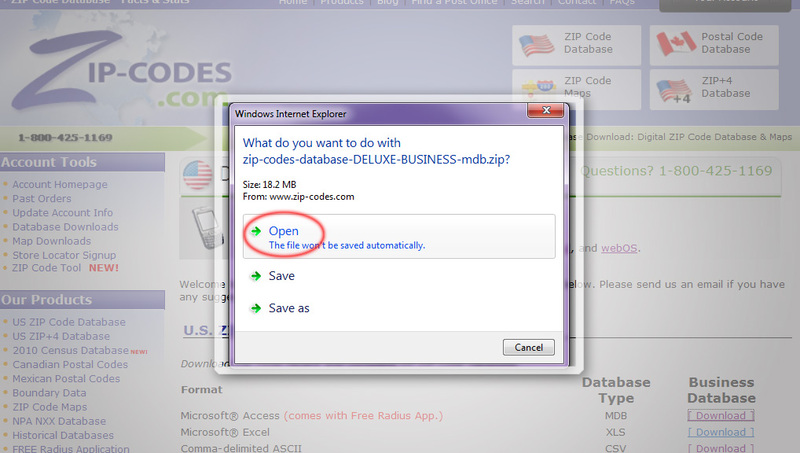 To open the radius application, double click on the file that says ZipCodeRadiusFinder. It's the one with the green icon of the U.S. map. When it asks you to run or cancel the software, choose Run. 7. Now that you've done all the hard work the rest is simple. Just add your ZIP Code(s), specify your radius and you're all set!